Dr Raine trained in general medicine in Oxford after completing a Masters degree by research in Pharmacology. Her interest in drug safety led to a career in medicines regulation which has spanned a number of roles in assessment, management and strategic development within the UK national authority. Appointed in 1999 to head Pharmacovigilance in the Medicines Control Agency (now Medicines and Healthcare products Regulatory Agency), she was elected in 2005 to chair the EU Pharmacovigilance Working Party and in 2012 as the first chair of the European Medicines Agency’s Pharmacovigilance Risk Assessment Committee. She is also a member of the WHO Advisory Committee on Safety of Medicinal Products and a board member of the International Society for Pharmacoepidemiology. 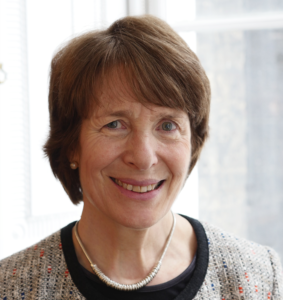 Dr Raine has a special interest in strengthening the evidence base for regulatory decision-making and she has driven forward the use of pharmacoepidemiological methodologies in pharmacovigilance, including use of the UK’s Clinical Practice Research Datalink. Her current interests include monitoring the outcomes of regulatory action, risk communication and patient involvement in the regulatory process.